We are dedicated to providing high-quality optometry services in a comfortable environment. At Primary Eyecare Associates, we are dedicated to providing high-quality optometry services in a comfortable environment. Our one-on-one approach to optometry makes our doctors and the Primary Eyecare Associates staff the eye and vision care providers of choice in the Macon and Warner Robins areas. Our optometrists offer the following services: complete eye exams, contact lenses, glasses, glaucoma testing, and pre- and post-operative care. Everyone was very polite and friendly, the office is also very well kept. Very friendly, helpful staff. I came a little early and they took me right in. They gave me the most thorough eye exam I have ever had. This business has a new name. Great experience! 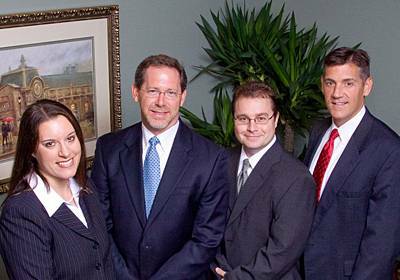 These are the best Eyecare specialists in Macon! They have wonderful doctors and the nicest, caring staff I have come across. Thank you for all you do. You guys ROCK!!!! The Doctors and entire Staff are always welcoming and project a knowledge and professionalism that your eyes are being well cared for. Regularly see Dr Simmons and highly recommend him, and also Dr. Smith who made time to see me on the eve of Christmas eve, without an appointment, taking the worry out of a blown blood vessel in my eye. Great Dr's and incredibly helpful staff!! The staff are great. Very friendly and helpful. The doctors are easy to talk to and good at what they do. Not a HUGE selection of frames. But enough. Friendly staff and great doctors. I also never have to wait a long time. Our comprehensive eye care services include complete and thorough eye exams, checking for visual acuity and disease. As a service to our patients, we are pleased to accept most insurance plans including VSP and Eyemed. We do accept CareCredit, the nation’s leading patient payment program. CareCredit lets you begin your procedure immediately—then pay for it over time with low monthly payments that are easy to fit into your monthly budget. Offering a great selection of designer frames and sunglasses. From dry eye and contact lenses to glaucoma and cataracts, we're here to help!